In the first part of this blog series I discussed the traditional data warehouse and some of the issues that can occur in the period following the initial project. I concluded by outlining the 5 common challenges that I hear from customers. This blog will focus on the fifth and final of these issues, Lack of Governance. Before discussing a lack of something, it seems sensible to spend a little time reminding ourselves of what that “something” is. What do we mean by governance? According to the dictionary, governance refers to the “action or manner of governing a state, organization, etc.” However for the purposes of this post we will concern ourselves with the more common IT definition of the term, as neatly summed up by CIO.com. 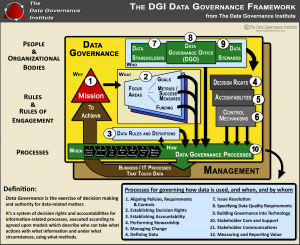 What Do We Mean When We Talk About Data Governance? They also helpfully provide a reference Data Governance Framework. So what does this mean in the context of a traditional data warehouse? It is not hard to see the value and benefit of having strong data governance within an organization. At the same time, it is equally easy to see that the delivery of data governance is not solely a technical challenge. 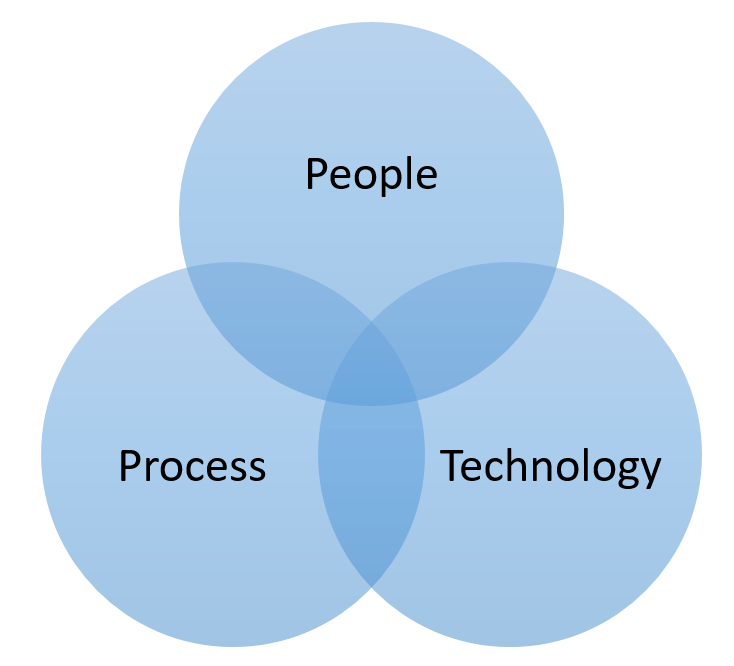 In fact, technology is only one piece of the puzzle. 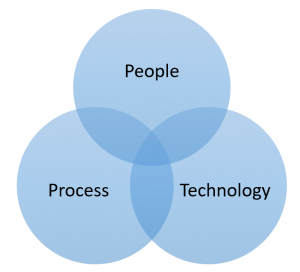 Delivering effective Data Governance requires a synergy between your people, the processes they use and the technology that supports those processes. Where Does Data Management Fit into Data Governance? The Data Management Associate International (DAMA) lists 10 major functions of Data Management in their DAMA-DMBOK (Data Management Body of Knowledge). 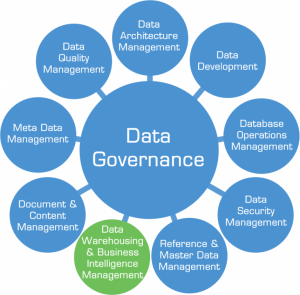 Data Governance is identified as the core component of Data Management, tying together the other 9 disciplines, such as Data Architecture Management, Data Quality Management, Reference and Master Data Management. But, what about the Data Warehouse? If you hadn’t got there already, I have highlighted it in green for you. 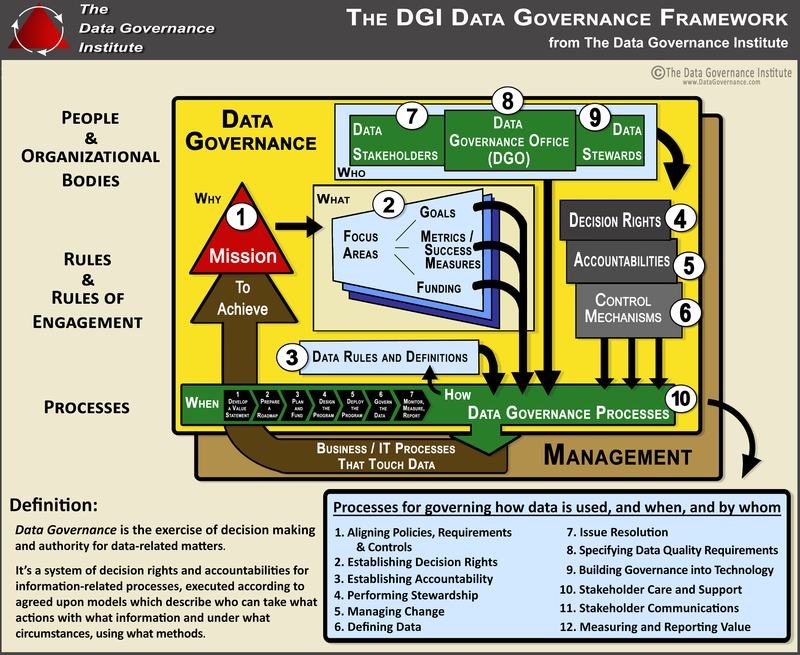 But this post is not about data governance as a whole, we will save that for another day. For now, let us concentrate on the impact that a data warehouse has on data governance. Or to be even more specific, how a traditional data warehouse can not only struggle to support data governance, but in certain circumstances, can undermine it. The Modern Data Platform delivers on all the requirements for a next generation data warehouse. Enabling organizations to radically simplify their existing legacy or overly complex solutions in order to lower running costs, improve agility and gain breakthrough performance that delivers real business value. Remember to follow the rest of the posts in this blog series where we will explore in detail the common challenges of traditional data warehousing. Hvad er DataForBusiness? Hvorfor er itelligence en del af det ?